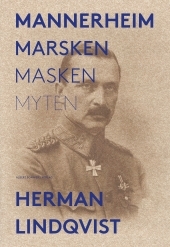 This is the story of the legendary marshal of Finland, Gustaf Mannerheim. It is common knowledge to most Swedes that he was the supreme commander in four of Finland’s wars, and a president who under most difficult of circumstances was able to defend Finland’s freedom and independence. The history buff might also know that he began his career as an officer under the Russian Tsar. Like from something out of a John le Carré novel, he was missioned to China as a Russian spy, disguised as an explorer. However, after the Russian revolution of 1917, he fled back to Finland to become their supreme commander. But how many people know that he lived the first years in his life in Warsaw; the years that he would later call the happiest in his life? That he was a true gourmet, a gentleman out to his fingertips, a well-dressed dandy and a charming libertine who set hearts on fire wherever he set foot? Despite his popularity, he seems to have been immune to Amor’s arrows, incapable of deeper relationships. The women who knew him described his heart ‘as cold as Finnish snow’. Not until he was 79 years of age, would he be struck and get to experience a passionate, stormy love. Herman Lindqvist tells the story of a man so important to Finnish history, that he was chosen to become their president during World War II, as he was perceived to be the only man who could bring peace to their country. Over fifty years after his death, he was voted the greatest Finn of all time.